Imagine hearing that your best friend is chained to a radiator in a small room somewhere. You don’t know where. And imagine the radiator isn’t really a radiator at all – everyone gets chained to radiators these days – it’s a grizzly bear. 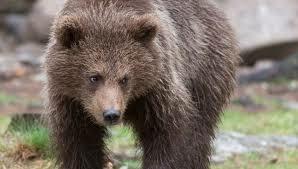 The grizzly bear is full of Etorphine and won’t wake until next Friday. When she does wake next Friday, she will groggily paw your friend’s knees and ribs and shoulders for a few minutes and then rip your friend’s face off. Now imagine that you have an opportunity to save your friend. This is what happened to me earlier when I woke up. God came down and told me about the room and the chain and the bear and the best friend, but also told me I could put a stop to it all. “Always? That’s a bit strange. You can have a look later maybe,” said God. “Yes, a bit much.” God said. And so began my morning. I’ve clearly had enough and am clearly going a bit tonto, but it’s good to set goals. And I know I’ve nearly given up on all this nonsense before, but God wasn’t involved then and that time was only really to elicit sympathy and gain readers (it worked), whereas this time I mean it and I need to stir myself because I’m really, really, really fucked off with it all. And pretty fucked up by it all too. Apologies for the fucks at the end. I was being all respectful and doing well with the fucks up until then. Enjoy your week. Well, I did enjoy my week, and the two that followed. Not sure what I would do if my friend was chained to a radiator. Probably steal his wallet and shoes. I would also question him to learn how he allowed himself to be radiator chained. Seems like an odd position to find yourself in. Having said that, I did once fall out of my shoes, which most people wouldn’t believe is possible. Metaphorically though, Ben, we are all chained to radiators. Or bears. 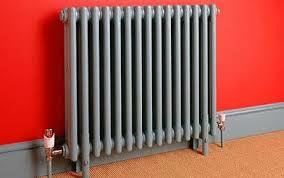 Or bear-shaped radiators. Or radiator-shaped bears. Or…I’m a bit heady today, aren’t I? I don’t doubt for a second that I’ll be falling out of my shoes later. Glad to hear you enjoyed your week.